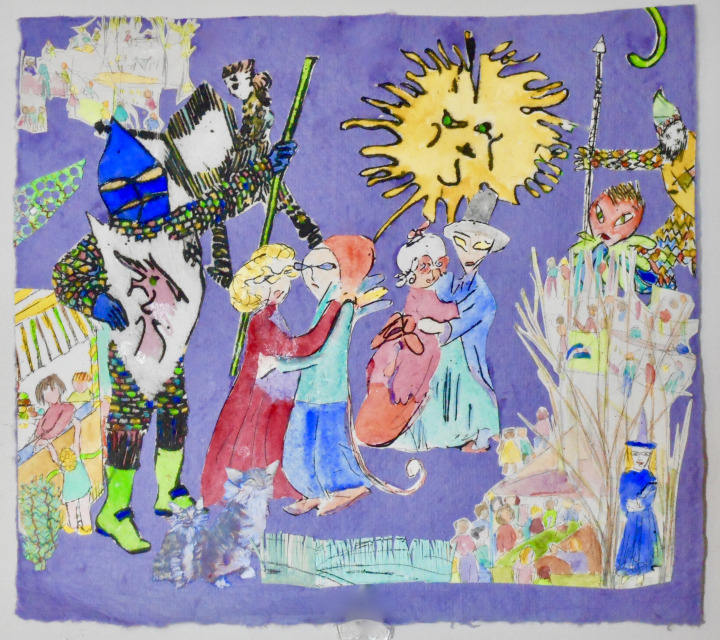 Collage with intaglio and watercolor on purple hand made paper. 8.5" x 9.75". Floated on backing 12" x 12"